I just learned that I enjoy asparagas! I never used to, but I guess now I do. 🙂 I think that my son would enjoy this recipe – he’s a big fan of gouda and cashews! Maybe I’ll get him started on asparagas now too! Love the agave nectar in the dressing, will try that for sure! Sounds like a delicious combination of flavours, Sally! Here I was reading your ginger snap cookie recipe and saw this at the bottom of your post. 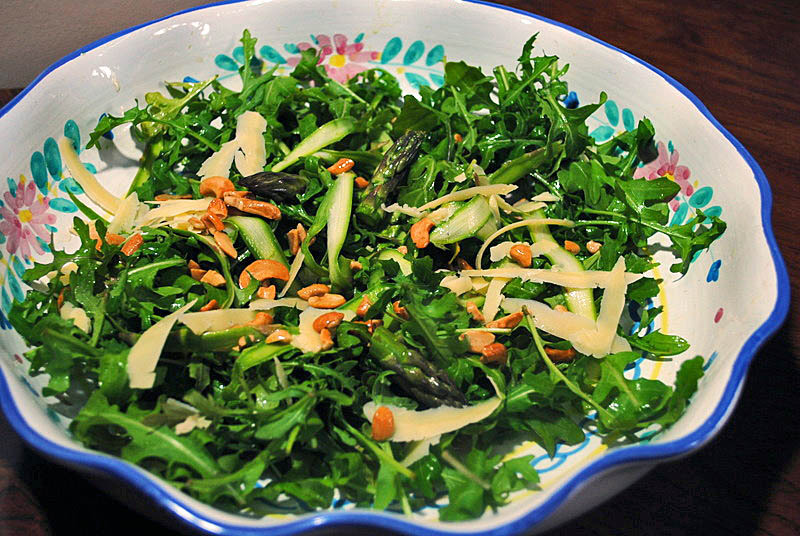 Just today I posted a shaved asparagus salad. Interesting because this is new to me and here you posted this years ago! 🙂 Love this version too.